How is it that the end of the school year has already dawned on us?! It feels like just yesterday that we eagerly began the new school year in brand new schools. 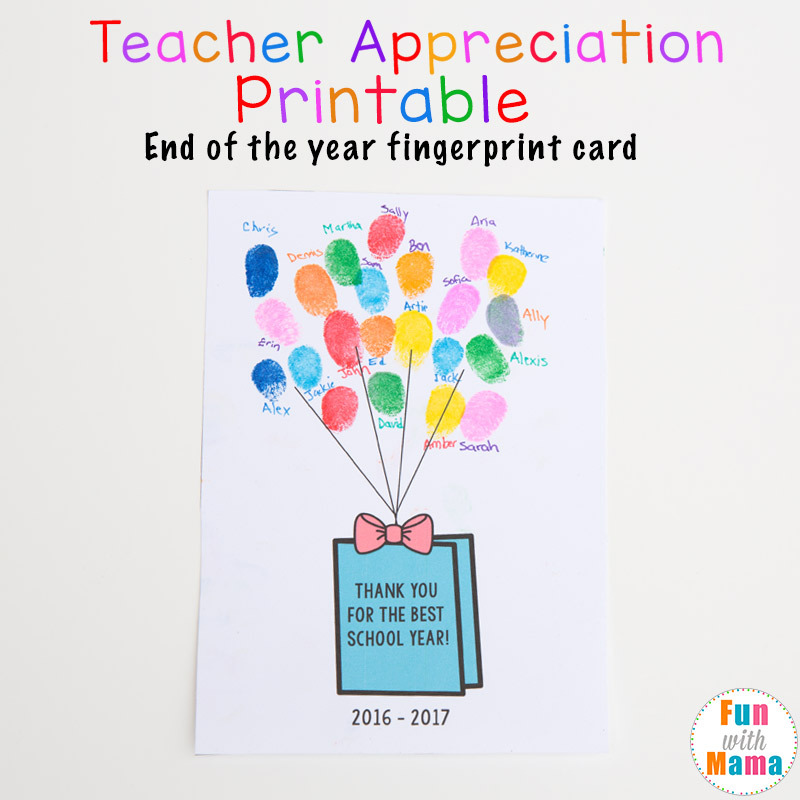 If time is not in your favor here and you are scrambling around looking for a thoughtful and memorable end of the year teacher appreciation gifts then this printable card is just what you are looking for! 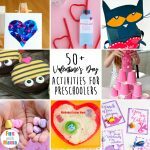 My own children love fingerprint art so I knew that this would be a much loved preschool activity! 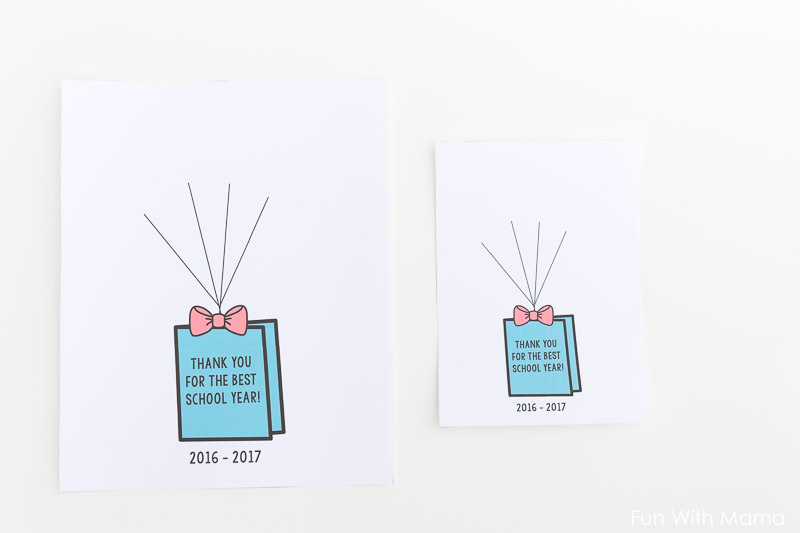 There are three size choices of card depending on how many students are in your child’s classroom. There are 5 x 7 cards, 8 x 10 cards and a regular US letter sized paper. 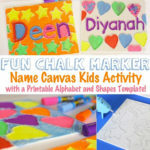 It is really easy to get frames for 5 x 7 and 8 x 10 cards. 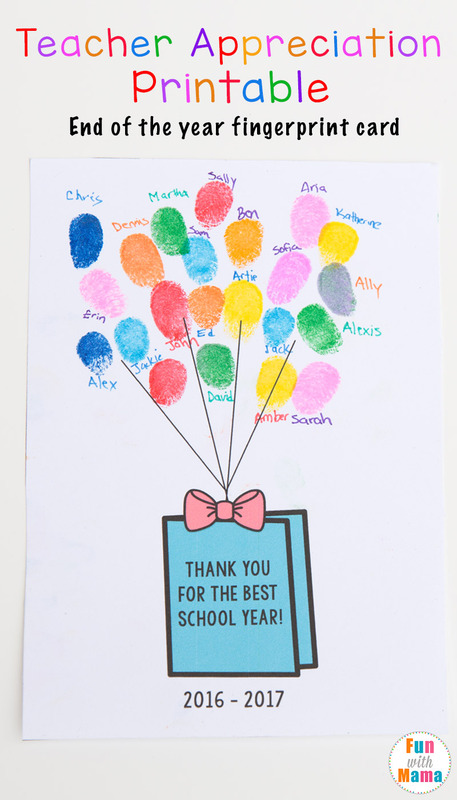 My daughters classroom is really small but I’d say 10-20 students fingerprints would comfortable fit that size card. 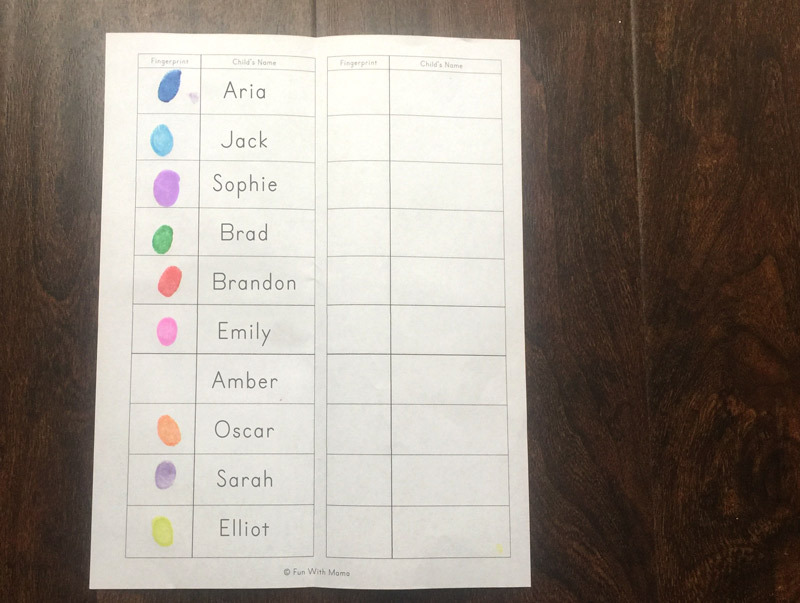 My daughters real class only has ten children so I opted to have each child choose one particular color. (Her card and school information are not shown) She also has two teachers and a teachers helper so I had three cards to make. This made it really easy. 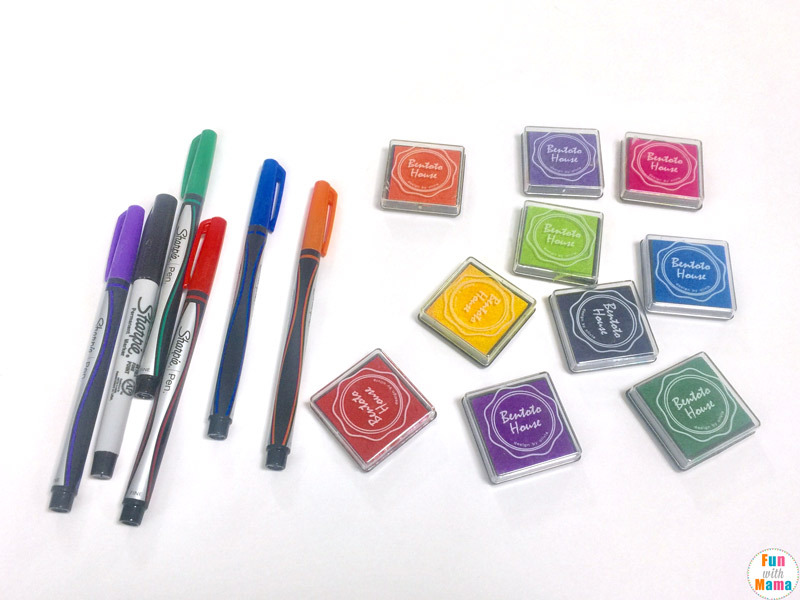 I set up our three cards on the table and began with our fingerprint color reminder. 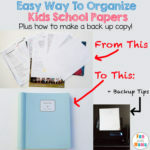 I have included a print out in the PDF below but if you would like an editable version of the file so you can type out names you can grab the editable version here. Make sure you have a paper towel and baby wipes nearby to wipe off any fingers after you are done. 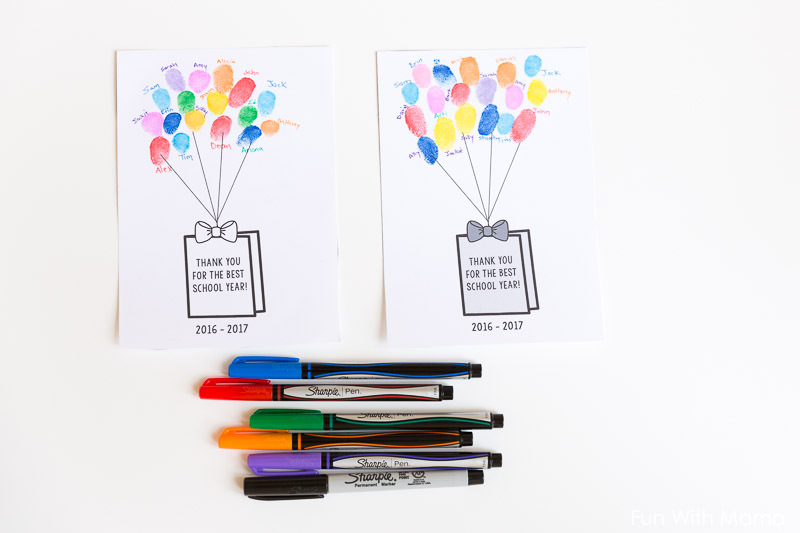 Otherwise, it is really easy to smudge leftover ink from your fingers onto the wrong areas of the card. I suggest you print out two cards just in case there are any mistakes. Remember that inks do not dry instantly and if you try to write over it then your wrist or palm may smudge ink all over. I recommend you wait a little or be VERY careful when writing names. There are three options to choose from because I really don’t know which one I like best. 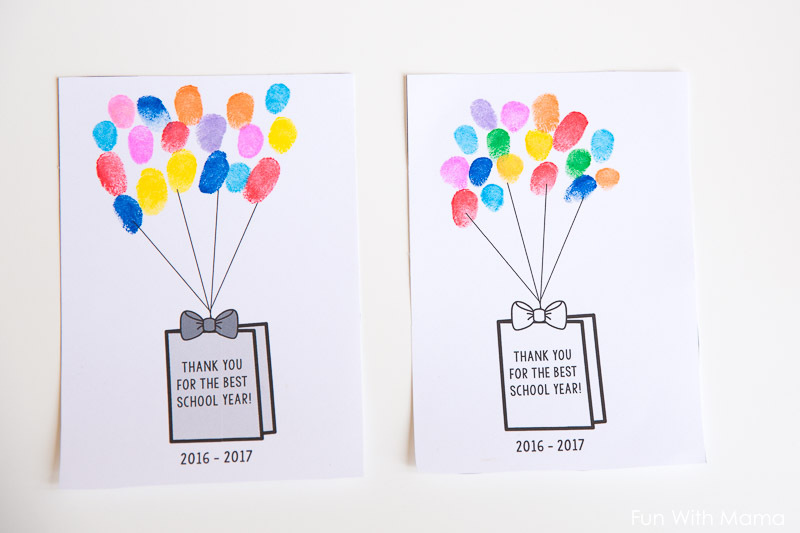 I like the pop of color from the blue but I also think that the colorful fingerprints stand out against the grey little card. You could then pop it into a frame. 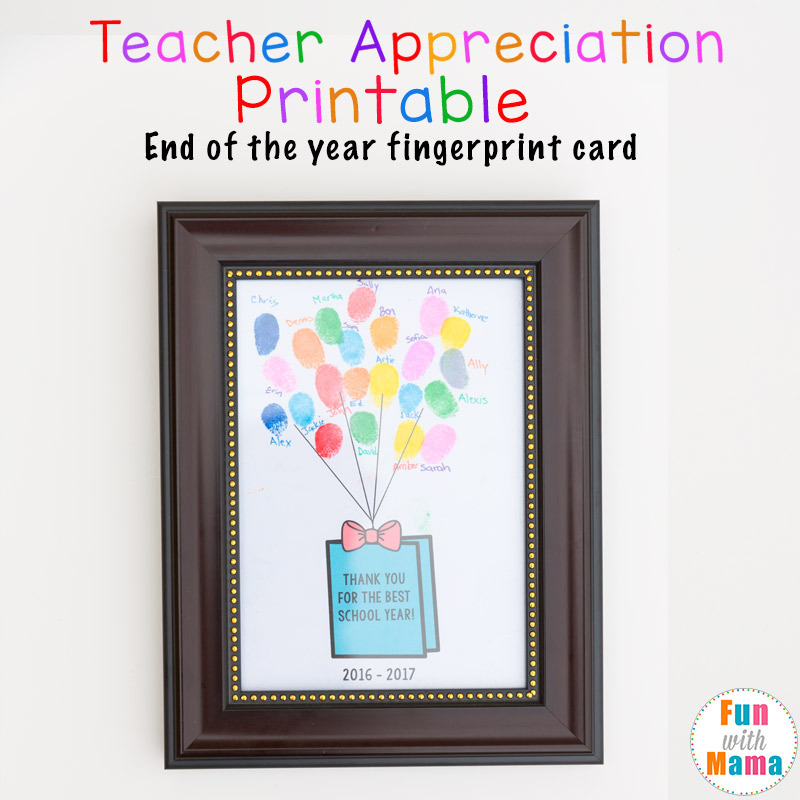 Or just leave give it as is… I am sure your child’s teacher will LOVE it! 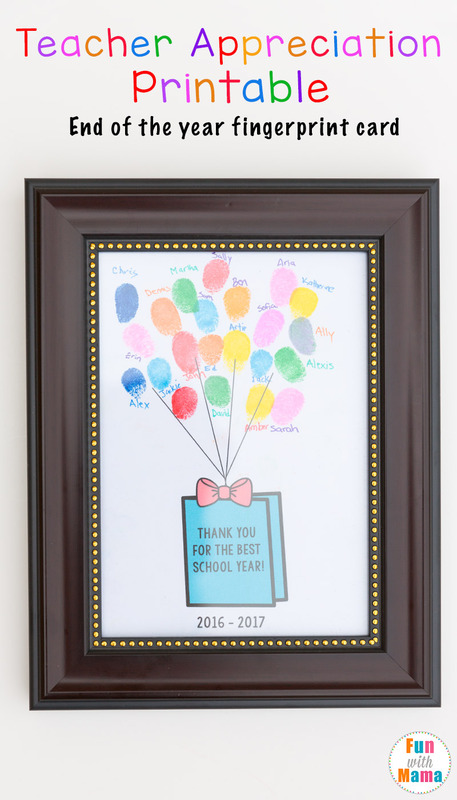 You can also enclose this sweet letter from Kindergarten Works. « DIY Hand Fidget Spinners With Videos! This is a brilliant idea! Will so be using this!